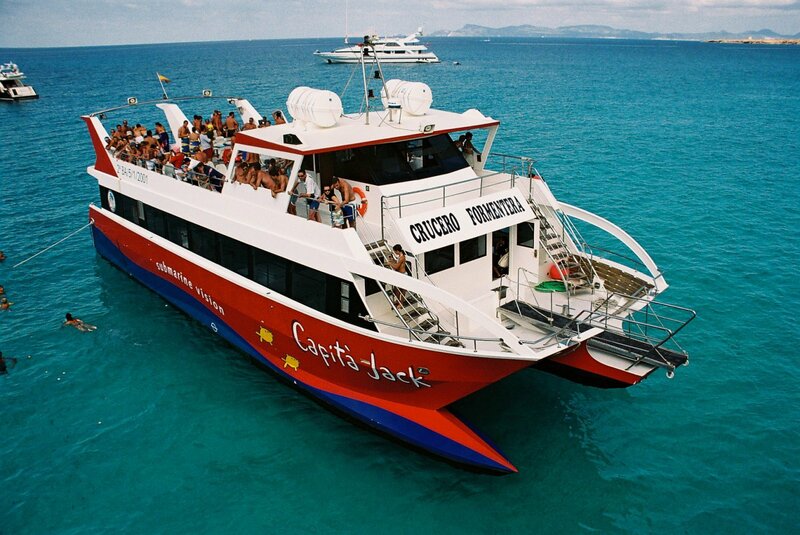 Travel easily by ferry to Formentera taking in spectacular views on the way. A wonderful addition to your Ibiza holiday is a day trip to the island of Formentera. With its white sand beaches and crystal clear waters, it is like stumbling onto a film set. If you are staying on the east of the island, the Santa Eulalia Ferry is the way to travel. The Santa Eulalia ferry offers daily trips between May and October, the journey time is 50-60 minutes approx. which will seem less with the breathtaking views of Ibiza's east coast to enjoy en route. There is an open deck on the upper floor which is ideal for surveying the scenery or an enclosed lower deck below if you want shade from the sun. The business grew from humble beginnings when two fishermen, Juan Torres and Miguel, bought two small boats in the late 60s to transport visitors between Santa Eulalia and the sandy beaches at Es Caná and Cala Llonga. Children (and Ibiza residents) receive special discounts and children up to the age of 3 travel for free. Refreshments are available on board and the friendly staff are on hand to advise you and offer suggestions for your special day out. Departures available from Santa Eulalia, Es Figueral, Es Caná, Cala Pada and Cala Llonga on the east coast, taking you to Formentera.